I purchased Fuchsia Fever at Walgreen’s for about $4 in a Post-Thanksgiving Sale. 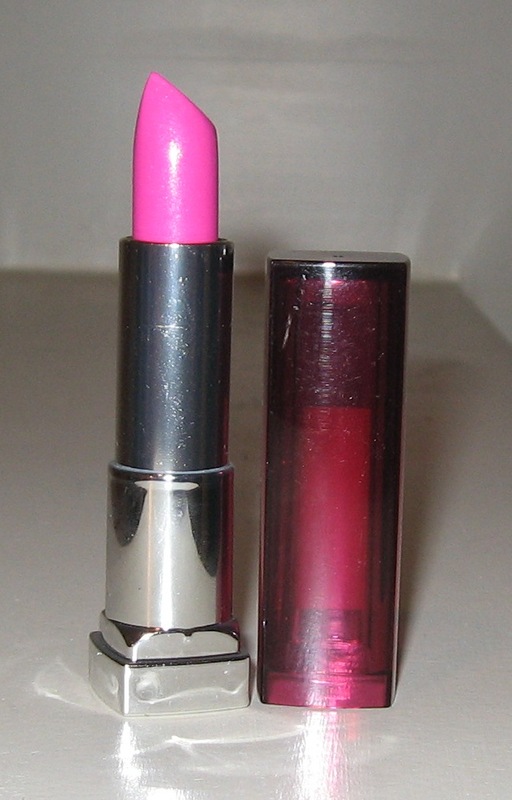 At regular price, a tube of Color Sensational will set you back about $6, which is pretty reasonable for a worthwhile drugstore brand lipstick. I hate to gas you up, but Maybelline wasn’t lying about this stuff! The color is really pigmented. My lips are kinda on the dark side, so (when I do wear colorful lipstick) I fill them in w/ a corresponding lip liner first. You may use lip liner or primer to help your lipstick last, but with this product, you won’t need it to help the color stand out. Oh, and it’s SUPER creamy! 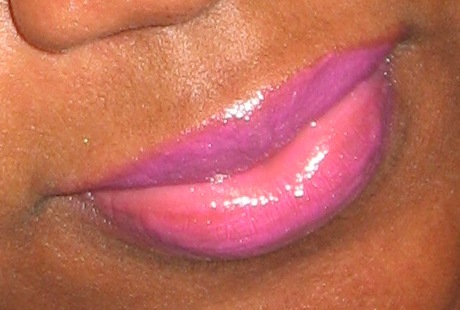 I am in love w/ this particular aspect, because I hate that dry, cakey feeling that most lipsticks give you. Wouldn’t call it long-wearing, because it only lasted 2-3 hours, but I’m sure that’s due, to the creaminess. Hey, you can’t have it all. The packaging is a typical, square lipstick case, but I gave it a few extra points because it’s is both functional & aesthetically pleasing. I also like the fact that the cover matches the lipstick inside. 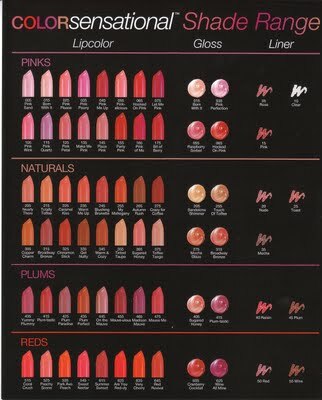 Maybelline breaks down the shades into 4 different categories: Pinks, Naturals, Plums & Reds. With 54 colors to choose from surely you can find one to suit your kisser! 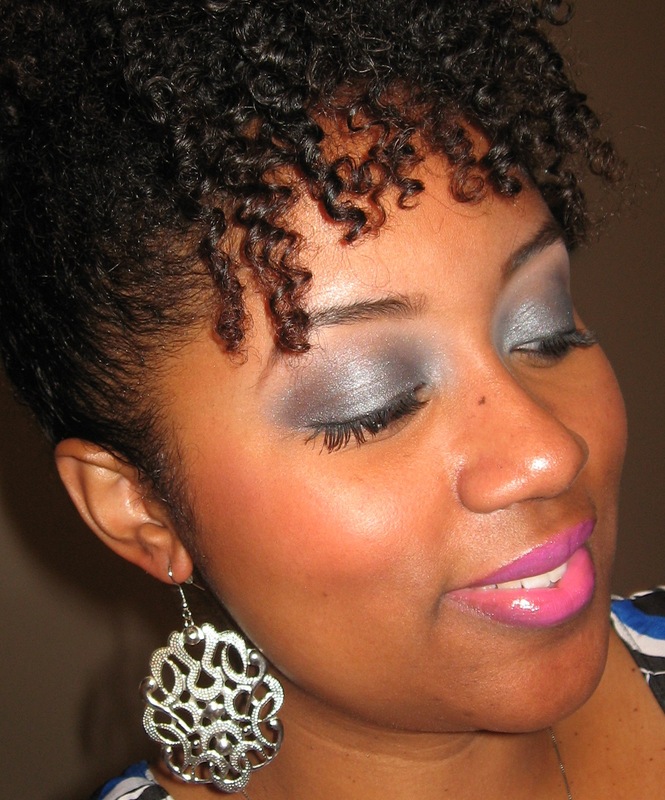 I recommend this product & look forward to trying a few other shades. I’ve only worn Fuchsia Fever 3 times, because… well, it’s BRIGHT PINK! But I’m glad that I can finally say that I’ve found a brightly colored lipstick that’s appropriate for my complexion. Trust me, it was no small feat! Super cute! by the by, your hair looks fabby! twist.out? braid.out? Share! Hey Pam! Sorry it took me so long to respond 😉 My hair in this pic was a 3 day old twist out. I used a banana clip to make a faux-hawk. This is the same brand I bought last week! You do such great reviews:)!! I really like mine too. I think the name was Bean There … it was the neutral color. I love that it’s a barely there color, but it is there;)! Yeah, they’re surprisingly good for drugstore brand lipstick. I want to get a few more of them in “everyday” colors.